The 'Industry Guide to Good Hygiene Practice: Sandwich Manufacturing' has been produced by the British Sandwich Association in consultation with the industry and enforcement authorities. It provides essential guidance to businesses that manufacture sandwiches on site for retail sale at different premises. The publication offers advice and guidance on how to comply with Regulation (EC) No 852/2004 on the Hygiene of Foodstuffs and with the Food Hygiene (England) Regulations 2006 and the equivalents in Northern Ireland, Scotland and Wales. The regulations require businesses to look at their operations in a different way, conduct an assessment of the risks to food safety and apply precautions to deal with these risks. 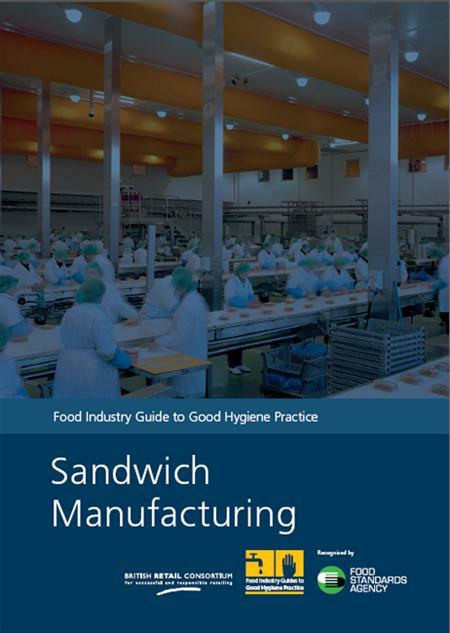 The Industry Guide to Good Hygiene Practice will help sandwich manufacturers to meet their legal obligations, ensure food safety and minimise the risk that their business will be the cause of a customer's complaint or illness. The guide has been formally recognised by the FSA and local authority enforcement officers are required to take account of its content when carrying out inspections. British Sandwich Association recommendations for supplying hospitals and vulnerable groups.